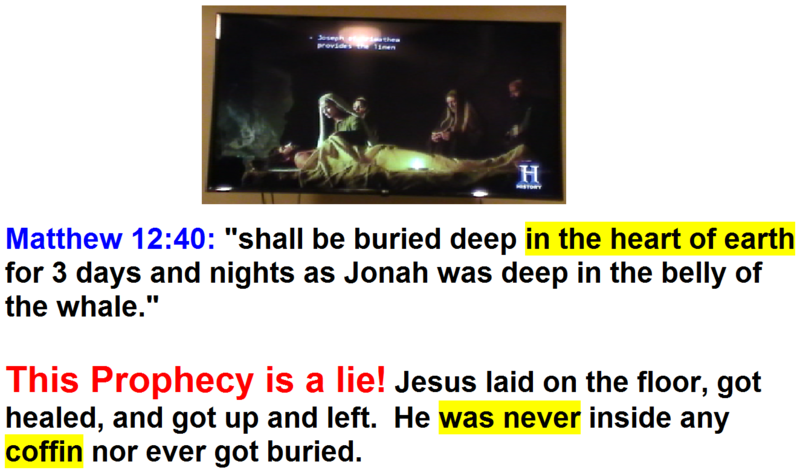 GENERAL TOPICS | BOARD ANNOUNCEMENTS / Crucifixion is a lie - 6 minutes "Jesus: His Life Mary Magdalene"
Crucifixion is a lie - 6 minutes "Jesus: His Life Mary Magdalene" History Channel documentary. Matthew 12:40: "shall be buried deep in the heart of earth for 3 days and nights as Jonah was deep in the belly of the whale." This Prophecy is a lie! Jesus laid on the floor, got healed, and got up and left. He was never inside any coffin nor ever got buried. Does anyone here know how to pray 12 rakahs of Thahajjud? GENERAL TOPICS | BOARD ANNOUNCEMENTS / Re: Why is Ahmed name not mention in Bible?